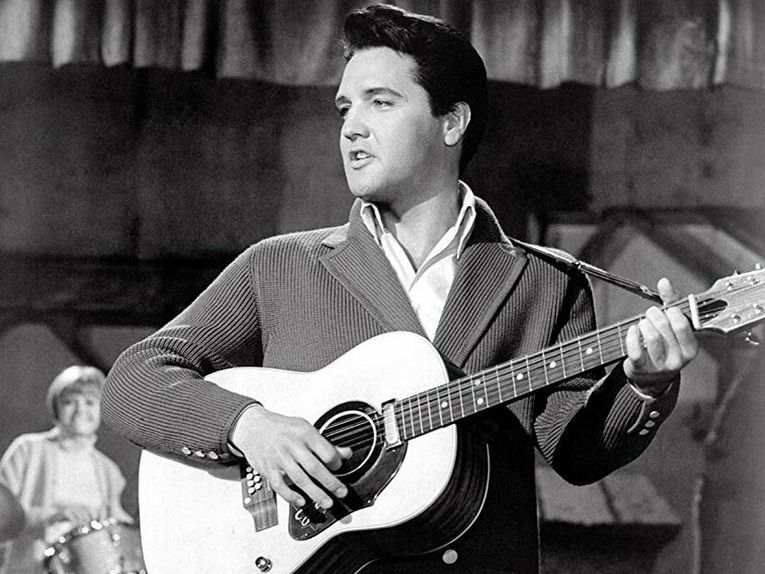 Elvis Presley is truly “The King.” Once a lonely southern boy, now a Rock and Roll legend, Elvis remains one of the biggest names in music. We may think we know celebrities, as their lives play out in the spotlight, but there’s so much more we don’t see behind closed doors. Regardless of his celebrity status, Elvis was a fascinating man with unusual interests. He was more than his deep voice and swizzling hips, and these interesting factoids prove it! From the funny way he drank his coffee to the inspiration behind his iconic look, Elvis Presley has many aspects worth knowing, especially if you’re a super-fan. Yes, the king had a twin brother named Jesse Garon Presley who, unfortunately, passed at birth. Had this tragedy not occurred, the life of “The King” might have been very different. With the guidance of a brother, Elvis might not have had the deep twinge of loneliness that he felt throughout his life. This devastating fact of Elvis’s life often haunted him throughout his career. Although Elvis didn’t grow up with biological siblings, he did eventually inherit three stepbrothers when his father remarried after the death of his mother. Although Elvis turned out to be quite a people-pleaser, growing up, he lived his life as a recluse and was described by others as a loner. He would sometimes bring his guitar into school and dabble with it during lunchtime, followed with torment from other children. The children would refer to him as “trashy” and make fun of the music he chose to play. We’re pretty sure those kids ended up eating their words. As the story goes, the children in Elvis’s school would often throw rotten fruit at him, and some students were reported to have cut his guitar strings. After the incident, students who were aware of the deep love Elvis had for his guitar, scraped some money together to buy him new strings. 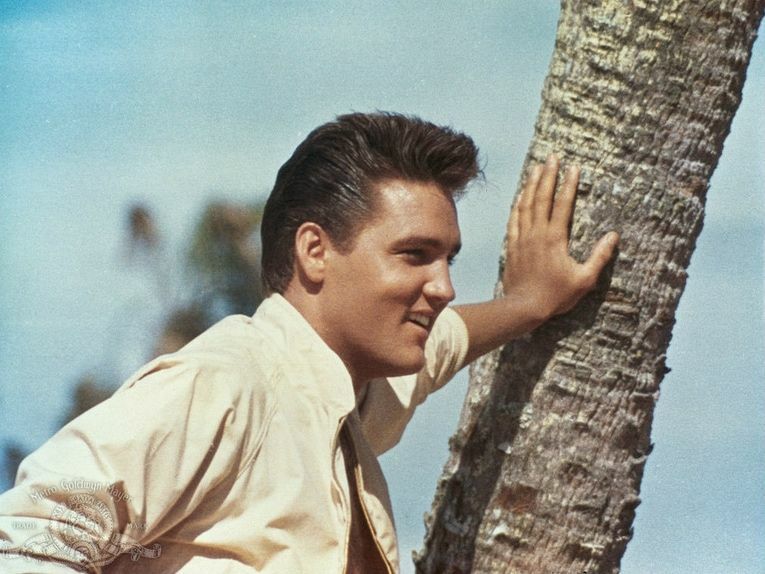 At 19, Elvis was ready to enter the glitzy world of music, but was promptly rejected. He auditioned to join a gospel quartet named ‘Songfellows,’ but they turned him down. (Imagine how they must feel now?) It looks like Elvis wasn’t too upset over it, seeing as he went on to be “The King” of the music industry. 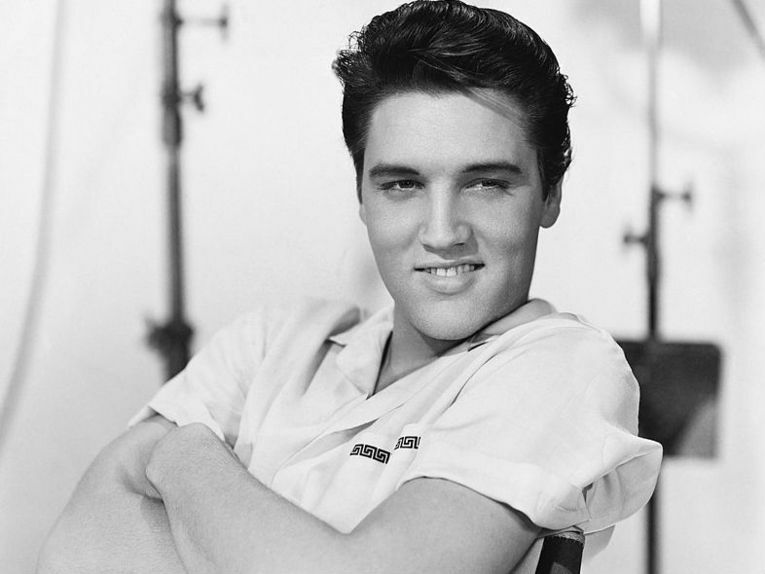 A year before his audition, Elvis had already paid (a whole) $4 to record a song as a gift for his mother. The year of his audition, his music career had already started to pick up some traction as he was a budding artist in the Memphis music scene. Everyone who knew Elvis knew that his mother, Gladys, took up the biggest space in his heart. 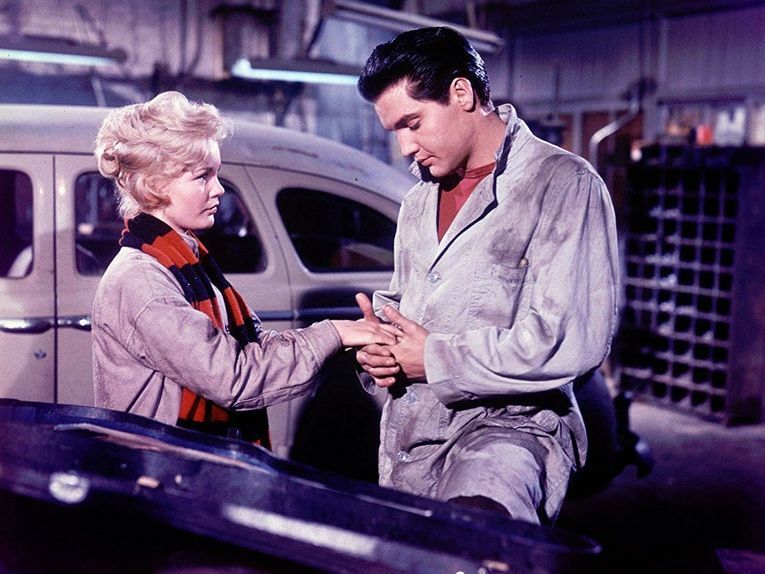 Elvis was extremely close to her, so he was devastated upon hearing the news that she was ill. At the time of the announcement, Elvis was in the military, but he immediately made plans to come back to see her. The death of his mother took a severe toll on him, and this sadness would be carried with him throughout the entirety of his career. Elvis is an astounding and celebrated figure in the music world but, no, he did not write a SINGLE one of his songs. Regardless, Elvis wasn’t really iconic for his writing skills, but the way he managed to make the songs his own. He would put a new twist on songs with slower tempos and did such a great job of it that people assumed he was the original artist. Elvis’s signature look was his black locks slicked back and to the side. Shockingly, this wasn’t the look he was born with. He cultivated it. To make his hair black, he would use shoe polish to cover his sandy-colored tresses. As he got older, he made the switch over to hair dyes such as Miss Clairol 51D and Black Velvet & Mink Brown by Paramount. He believed that this new raven-colored look made him appear edgier on and off the stage. 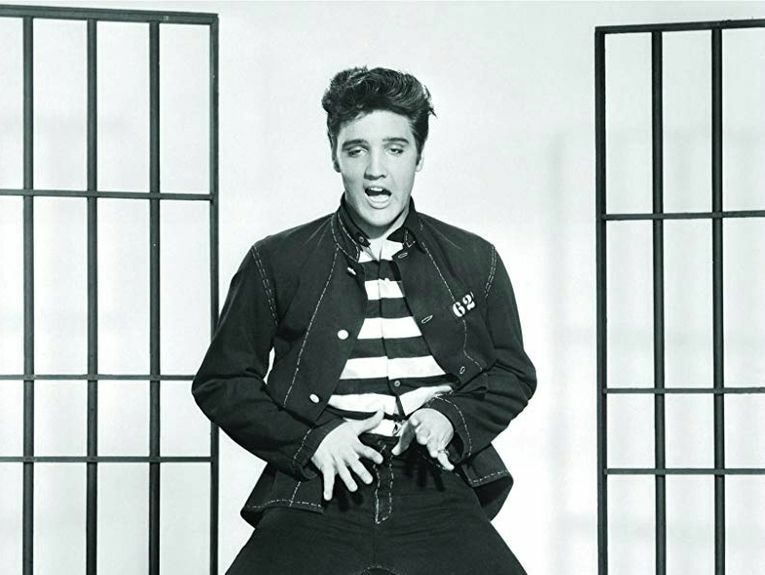 Looks like he was right, as Elvis’s signature style became an unrivaled iconic Rock and Roll trend. It’s no secret that during the time of squeaky clean television and “holier than thou” morals, Elvis Presley was Public Enemy #1. During Elvis’s live performances, he would gyrate his hips in a way that could only be described as “offensive” at the time. 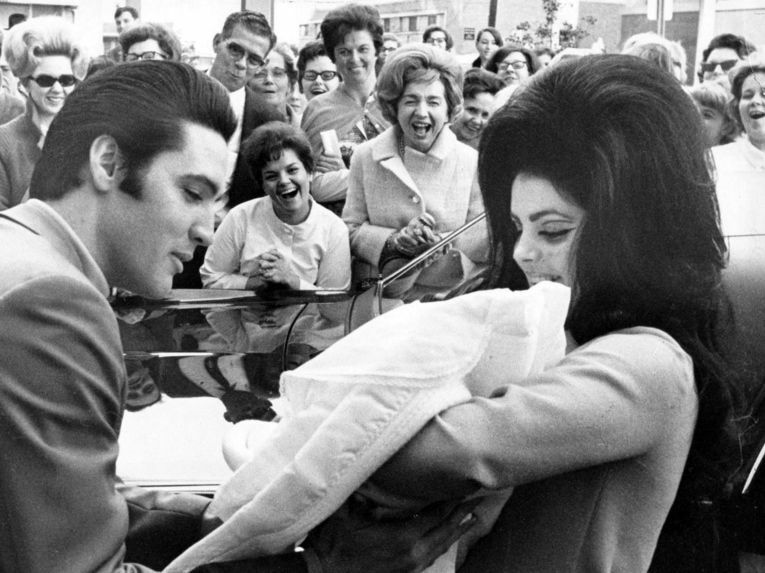 It seems that when Elvis is brought up in a conversation, the name Priscilla immediately follows. 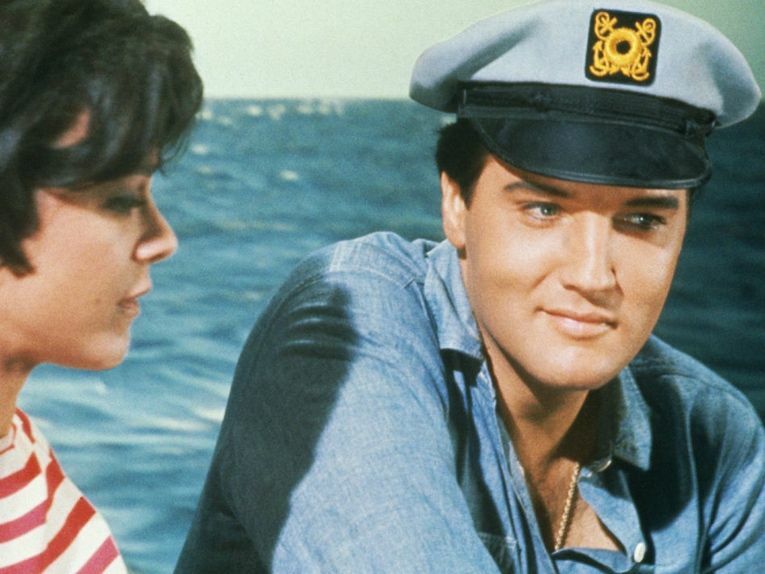 Like Harry and Sally, Elvis and Priscilla are two names that will forever be intertwined. However, their relationship would be quite scandalous in today world, as Priscilla was very young. 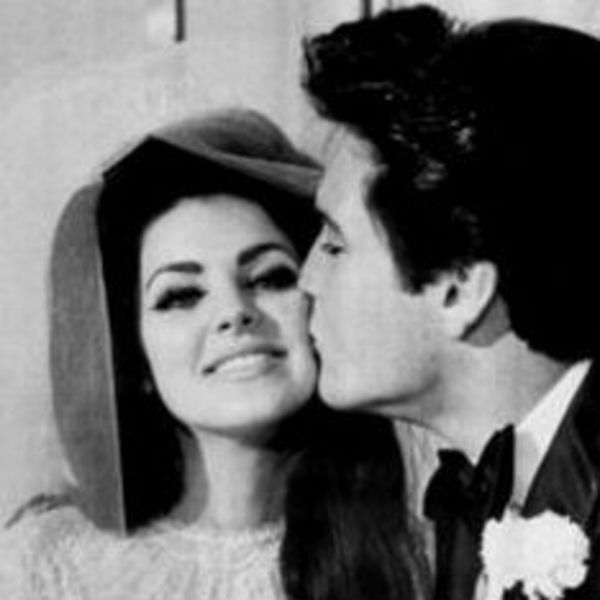 Priscilla was the only lucky lady to ever tie the knot with the star. This may have helped him in the war, but we know his interest in karate certainly didn’t help his marriage. He had gained respect from his haters after serving time in the war, and people began approving of this swell young man named Elvis. Good samaritans realized he wasn’t an advocate for devil’s music at all! He was a young man with hobbies that enjoyed serving his country, just like everyone else! While in the army, Elvis became very interested in karate and studied the fighting style of Chito-Ryu under Hank Slemansky. He would use his karate skills on stage, and he received his black belt in 1960. When 1974 rolled around, Elvis was almost unrecognizable thanks to his new look. The King had a soft spot for fried foods, and it took up a hefty percentage of his diet. One of his favorites? The ‘Fool’s Gold’ sandwich, otherwise known as an ENTIRE loaf of bread hollowed out and filled with peanut butter, bacon, and banana. The sandwich originated in Denver, Colorado, at a restaurant called the Colorado Mine Company. However, the sandwich is often referred to as “The Elvis Sandwich.” Elvis enjoyed a lot of things, but he didn’t enjoy counting calories. It said that at one point he went up on stage, and his band didn’t even recognize him. 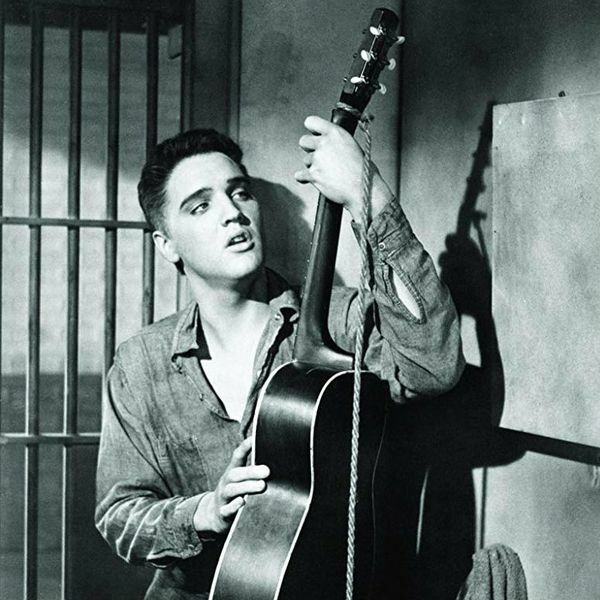 Yes, Elvis almost loaned his deep vocals to the hit musical West Side Story. Director Robert Wise offered him the lead role, and it was close to becoming a reality. 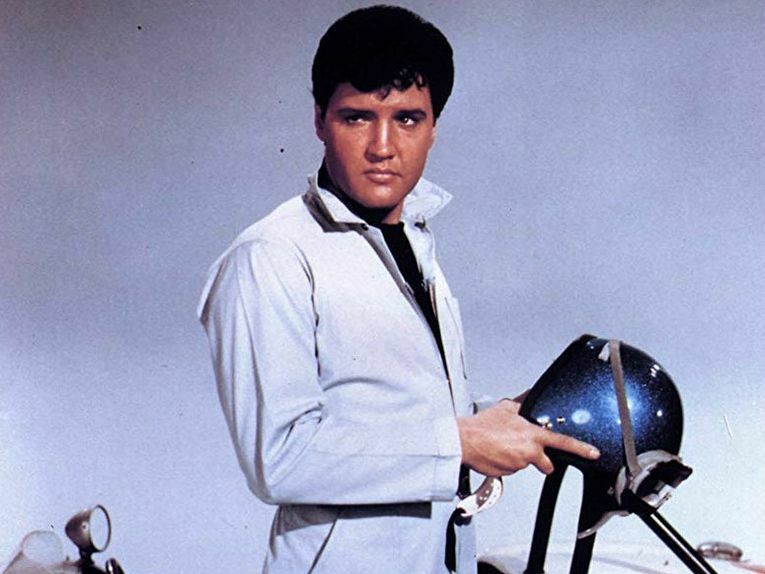 Elvis was indeed interested in doing the film, but halted when his manager, Colonel Parker, worried that this might not be the right film for the star. Elvis gave his parents (when he was only 22 at the time) a budget of $100,000 and asked them to find a “farm-style” home. On March 1957, Presley purchased the famous landmark for $102,500. The legendary mansion is on a 13.8-acre estate in Memphis, Tennessee. It is now one of the most prominent landmarks in the country. It opened to the public in 1982 and is ranked the second most visited home in the USA. 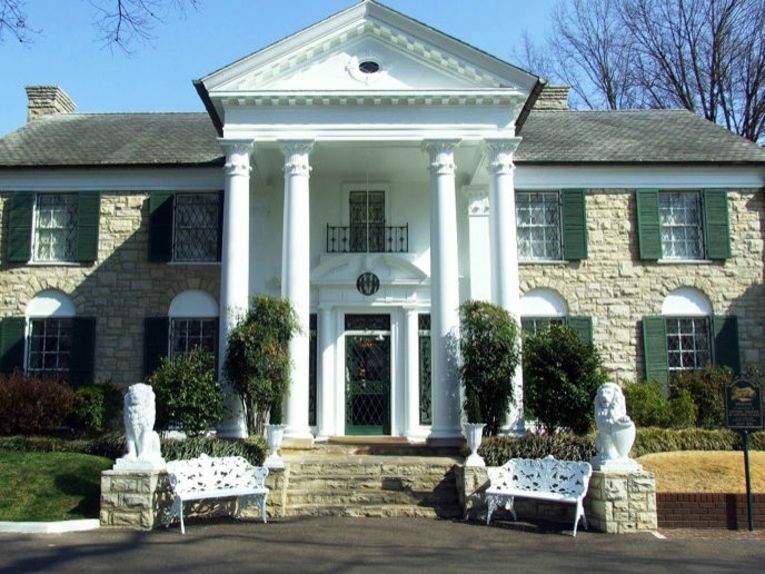 As for the name, Graceland was initially part of a 500-acre farm that was owned by the S.E. Toof family. The family had owned the land for decades and named after one of the female relatives named, you guessed it, Grace. Life in the spotlight was not easy for the A-list couple. 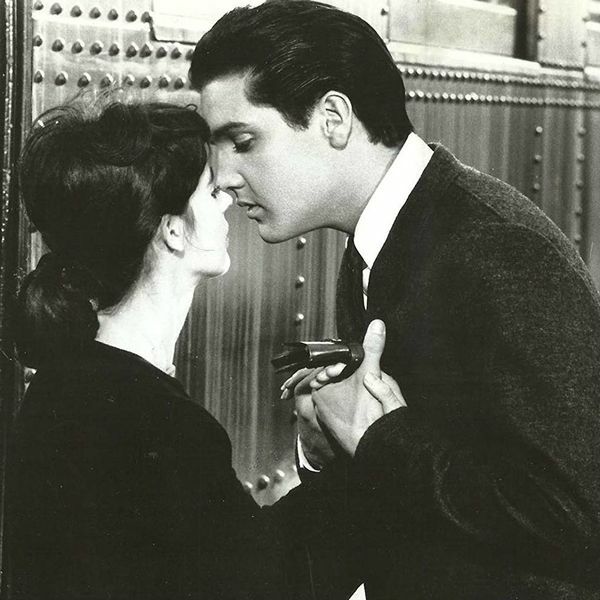 In 1971, Elvis had an affair with Joyce Bova, which ended in an unwanted pregnancy and abortion. We would soon find out that Elvis wasn’t the only one unfaithful in his relationship. In a shocking twist, Priscilla later revealed she had an ongoing fling with Mike Stone… a karate instructor who Elvis recommended she see. Ok, this isn’t wholly verified, but we know that Elvis was a massive fan of the comic book Captain Marvel Jr. It is believed that Elvis tried to model his look after his beloved superhero. In fact, his collection of comics can still be found in the attic of Graceland. 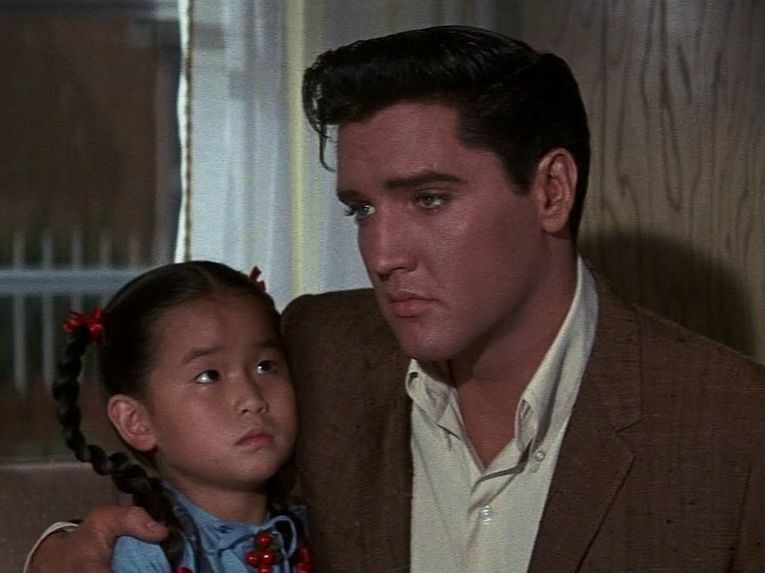 There is quite a similarity between Elvis and the fictionalized teen. He even adopted the comic book star’s lightning bolt symbol and had it printed in both his private room and TV room. Many fans believe that he borrowed Captain Marvel Jr.’s famous hairstyle and sideburns, along with the cape-like jumpsuits he wore on stage. She also confessed that Elvis had complete control over everything, including the clothes she wore. He would even attend shopping trips with his wife. Priscilla often compared her life with The King to living in a bubble. One thing you need to know about The King? Ladies. Loved. Him. 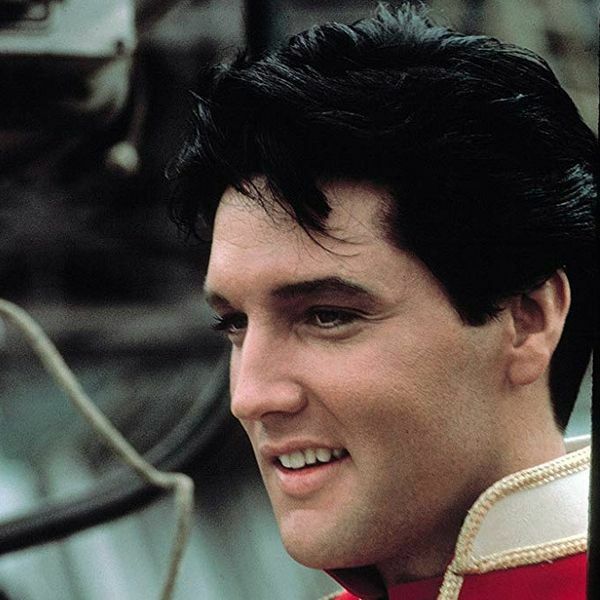 There were plenty of rumors that involved Elvis with other A-listers, but one of the biggest? Cher! This may seem like a match made in heaven, but it didn’t exactly go as planned. 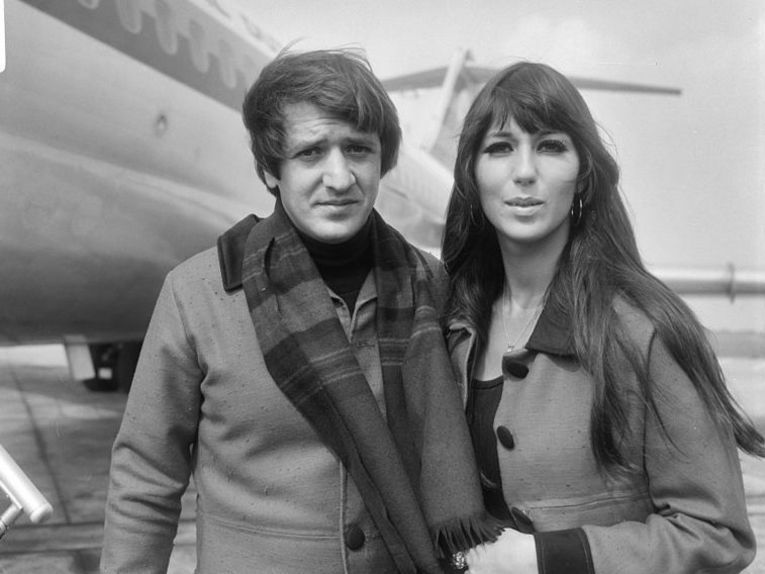 Cher began seeing Elvis in-between her marriages to Sonny Bono and Gregg Allman, insisting it was nothing but a fling. Despite dating, the famous pair never actually got down and dirty. In fact, Cher straight up stood him up. One night, Elvis asked her to his room, and she rejected his offer. 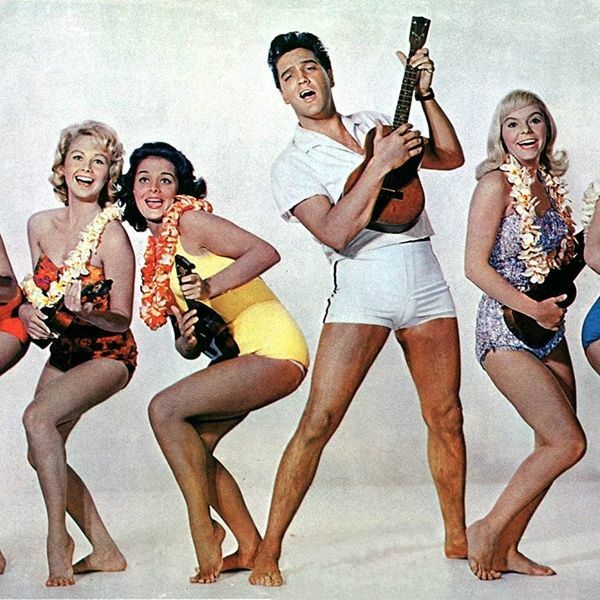 Our guess is that Elvis wasn’t used to getting rejected by female suitors. Every celebrity has some kind of quirk. For Michael Jackson, everyone remembers his pet monkey, Bubbles. But, wait! Michael Jackson was not the first celebrity to adopt a funny and misbehaving chimp! Elvis also had a pet Chimpanzee named Scatter. (Which begs the question, was Michael Jackson embodying his once father-in-law?) It is said that Scatter was quite a sprightly fellow, and he would often cause trouble. Scatter would show up to elaborate parties hosted by Elvis at Graceland and harass the guests. One story tells of the naughty chimp placing his hands inappropriately on a woman during a party, which was followed by a hard uppercut from her. It is said that Elvis encouraged Scatter’s inappropriate behaviors. Thanks to Priscilla Presley, who was more than happy to give the inside scoop about so many facets of the legendary singer’s life, we learned this strange gem. Turns out, Elvis was a pretty big germaphobe. We may think of Elvis in comparison to the likes of a God but, in the end, he was just a normal man with (somewhat) normal phobias. When Elvis began touring, he put his heart and soul into it. His life on the road was a difficult one, as he regularly traveled back and forth across the nation. Any artist thrown into his tour schedule and movie schedule would have had a difficult time keeping up, and The King was no different. Elvis made so many appearances on stage, that he started becoming sloppy. While he was breaking box-office records, his in-studio performances began to suffer. 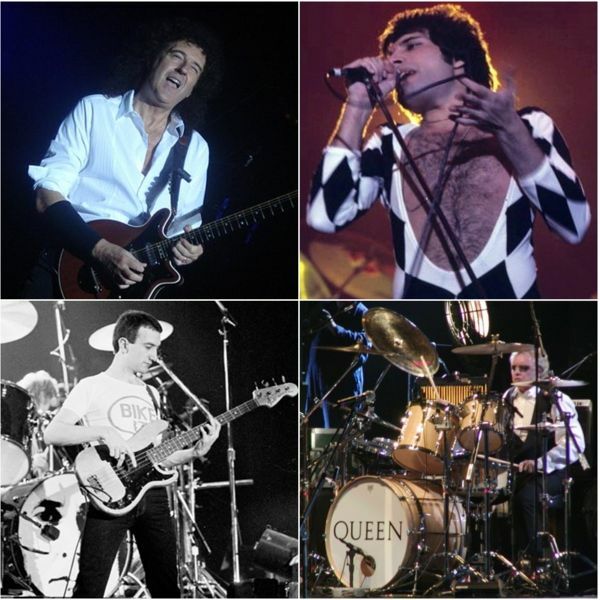 Many people claimed that there was a lack of quality in the new recordings that was present in the old ones. Regardless, he continued to thrive and climb the charts. 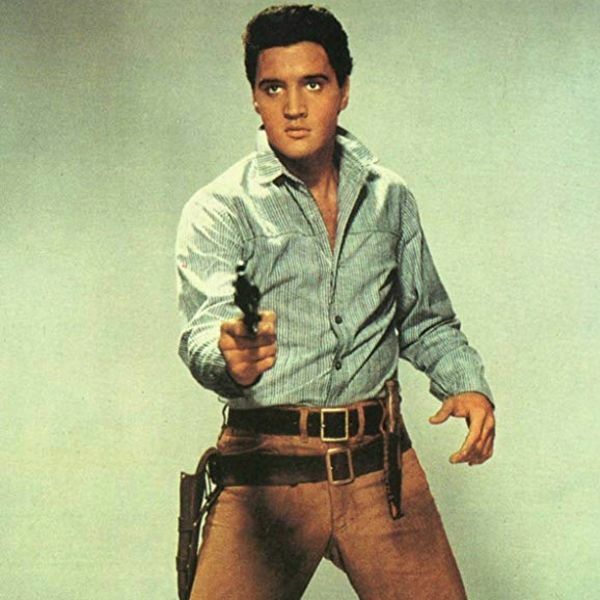 Elvis’s hands weren’t just skilled on the guitar, he also used them to pull the trigger on his many guns. It was no secret how much Elvis loved guns, as he would carry them around quite often. 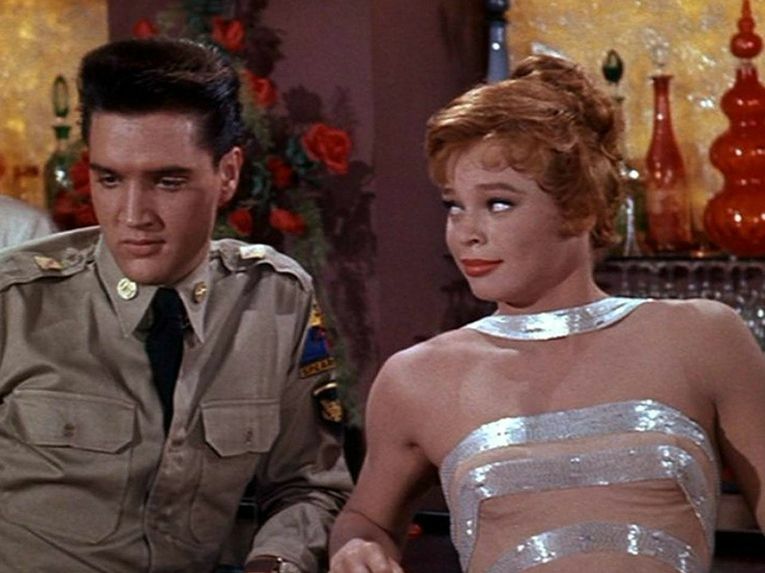 Ginger Alden, an old girlfriend, tells the story of a time when Elvis fired a gun at a television set. She also told of a time when he would fire the gun at the headboard of the bed while she slept to “grab her attention.” Needless to say, Elvis didn’t really need a reason to fire his rifles, and he would just do so as he pleased. Elvis had a contract that he had to live up to, which is why Having Fun With Elvis On Stage was created. Released in 1974, the album consisted only of spoken content. The recordings feature banter by Elvis in between songs during his live shows but don’t feature a single tune. Naturally, the album was ripped apart by critics, seeing as there is no musical substance to the record. “Some have called Having Fun With Elvis On Stage thoroughly unlistenable, but actually it’s worse than that; hearing it is like witnessing an auto wreck that somehow plowed into a carnival freak show, leaving onlookers at once too horrified and too baffled to turn away.” Harsh. People from outside the United States adored Elvis just as much as Americans. In fact, 40 percent of his music sales came from overseas, but he never performed on foreign grounds (unless you count Canada in 1957). Many people think that it was because of Elvis’s manager, Colonel Parker. Parker is said to have been an illegal Dutch immigrant, and he believed he wouldn’t be allowed back into the United States if he were to travel overseas. He arrived in America by jumping ship, and he never owned a United States passport. Originally a carnival worker, Parker moved into music promotion and discovered Tommy Sands as well as Elvis. The Ed Sullivan Show was quite a family-friendly program. 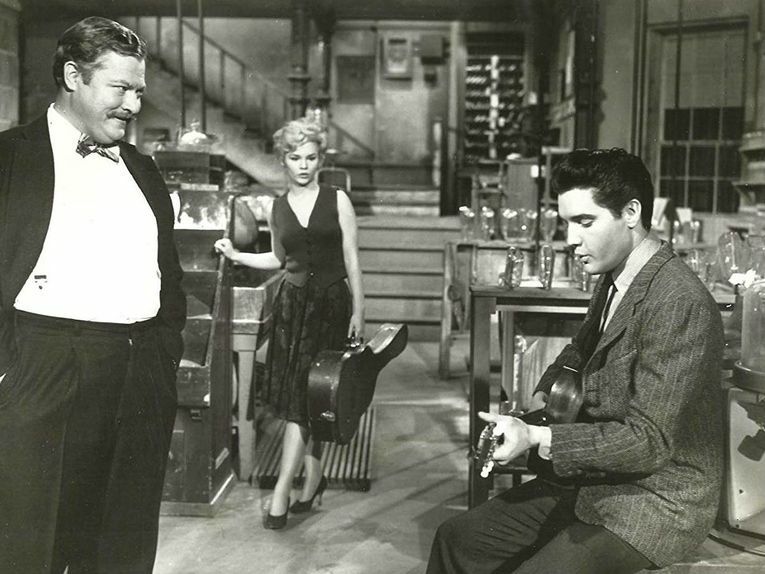 At first, Sullivan wasn’t too fond of featuring Elvis on his show since he brought controversy with him wherever he went. After Elvis appeared on The Milton Berle Show, he stirred the pot, and Sullivan wasn’t interested in that kind of attention. However, after seeing the ratings that Elvis brought to The Steve Allen Show, he sang a different tune. 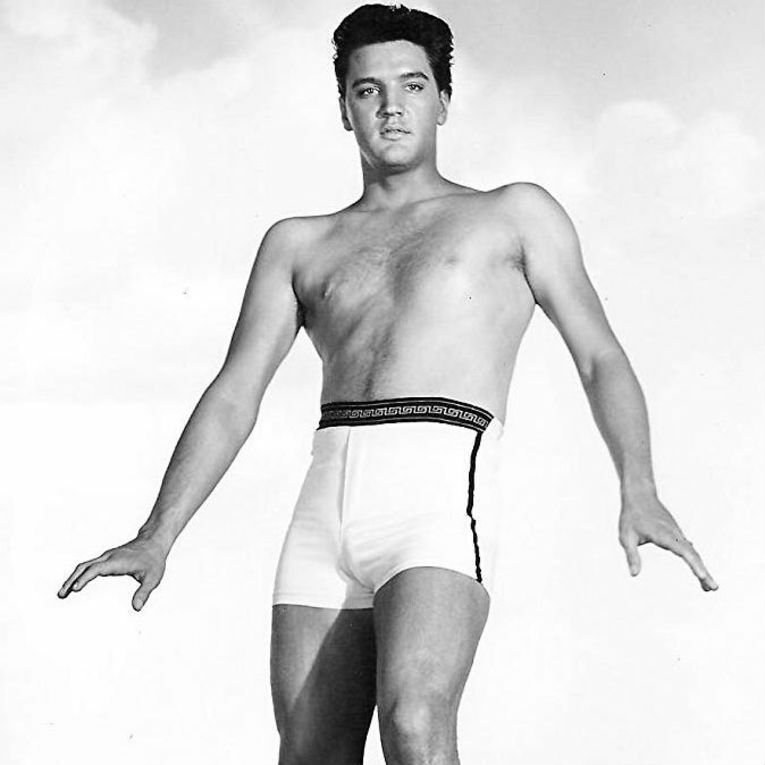 But there was a catch…Sullivan would not film Elvis from the waist down to protect his viewers. Elvis wasn’t shot from the waist down on Sullivan’s show until his January 6, 1957, performance, his third and final performance on the show. 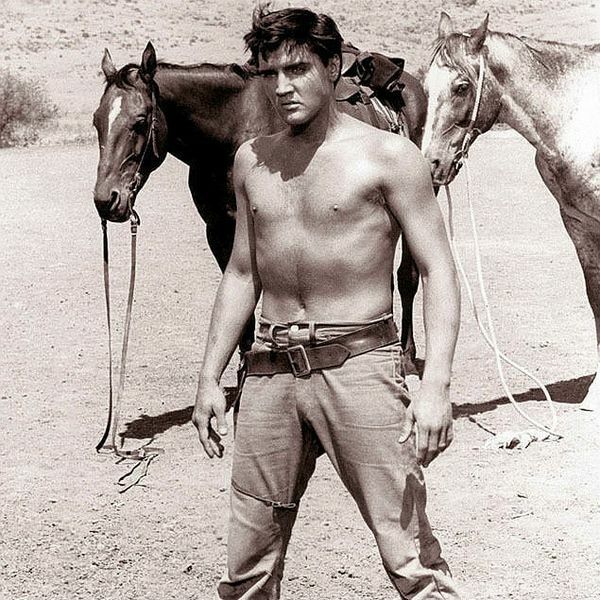 The name “Elvis Presley” wasn’t just known as the singer covering the biggest albums in the world, it was also known as the actor name plastered all over movie posters.While dominating the music industry, Elvis proved he was a multi-talented celebrity, riding out the peak of his fame onto the waves of the silver screen. Over his career, he appeared in over 30 films! Some of his more light-hearted films had cute titles like Tickle Me, Easy Come, Easy Go, and Kissin’ Cousins, and they never failed to get audiences (especially the women) riled up. It is believed by many that had Elvis been given a serious chance in the movie industry; he would have been matched with the likes of James Dean and Marlon Brando. However, critics often thought that his hectic singing career interfered with his potential film career. Look, when you’re a celeb, you can get away with A LOT, and Elvis obviously knew that. Along with his gun obsession, Elvis had a passion for law enforcement. He would often pass the time pulling over speedy drivers by attaching a police siren to his car. He would invite friends to join him on these pranks, and after giving a lecture to the drivers, he would hand them an autograph and dismiss them. 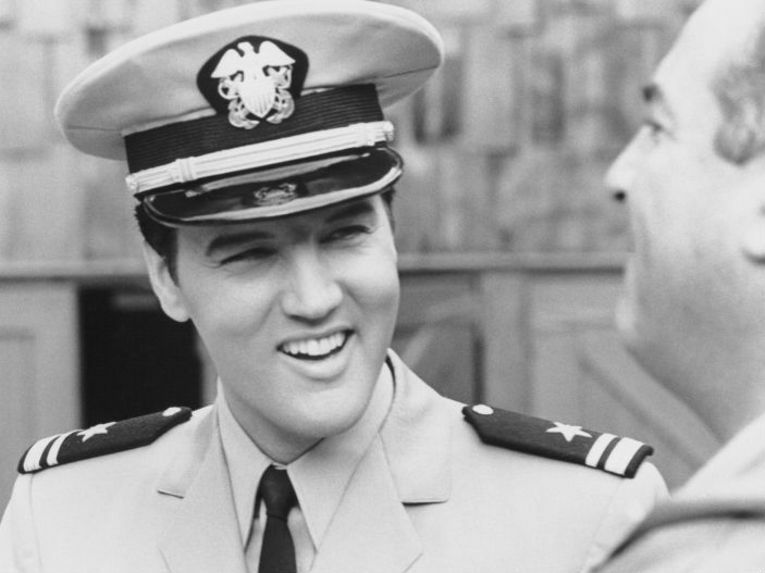 Elvis even earned honorary police status in different American states and once met with President Nixon. He joked (or didn’t, we’re not exactly sure) that he wanted to become an undercover FBI agent. 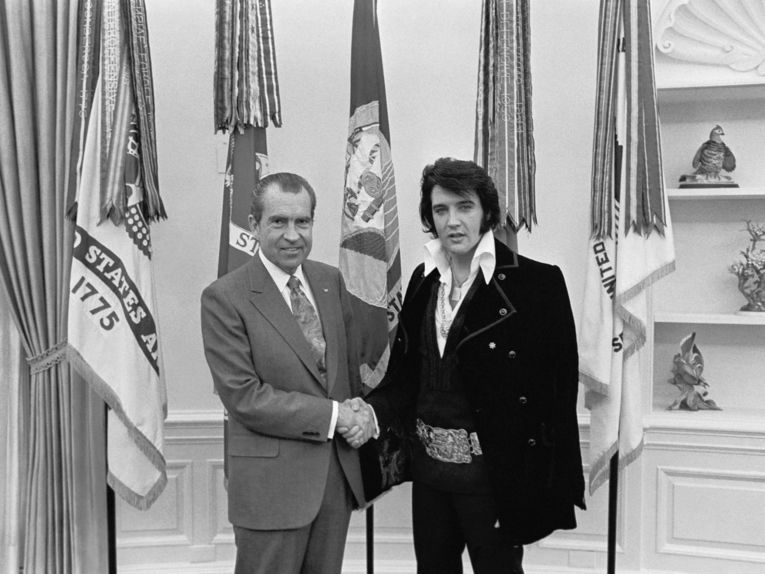 The meeting of Richard Nixon and Elvis was probably one of the strangest celebrity-president meetings of all time. Elvis had a collection (that he was insanely proud of) of police badges from all over the country, but he had a special adoration for his Narcotic Officer’s badge, gifted to him by Nixon. Elvis actually wrote to the White House requesting the badge, and he later met the president. He told Nixon that he believed the Beatles were encouraging anti-American sentiment and that by giving him the honorary title, he could help counter the movement. In return for the badge, Elvis gave Nixon a handgun from World War II, later commemorated in the film Elvis Meets Nixon. On his show, Larry King retold the story that Elvis’s manager, Colonel Parker, told him about the star’s generosity. While doing a show in Miami Beach, a limo picked up Elvis from a helipad to take him to a venue. 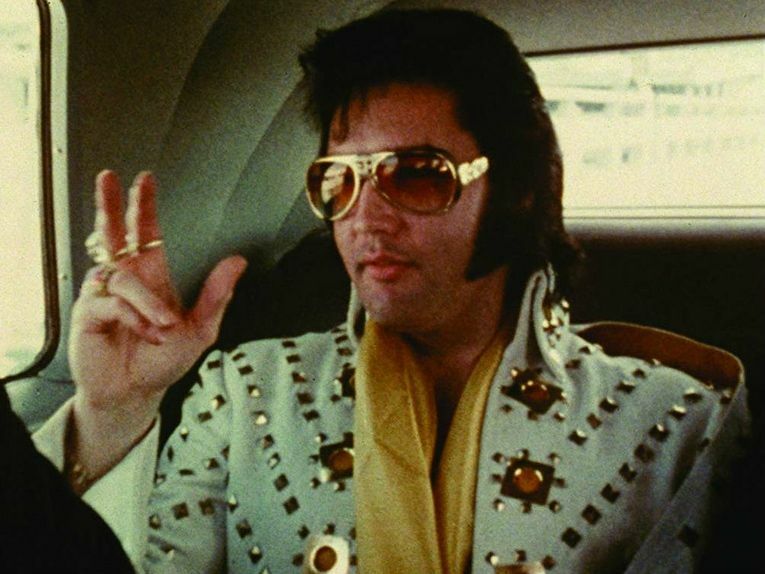 At the end of the trip, Elvis began talking with the limo driver and asked him if he owned the car himself. The driver told Elvis that he worked for the company that owned the limo and he was just a driver. Elvis then replied, “You now own it,” and tipped the limo driver with the limousine. We have to wonder if that guy just drove around a random limousine wherever he went from then on. You may be familiar with the new film A Star Is Born, starring Lady Gaga and Bradley Cooper but, before them, it was originally done by Fredric March and Janet Gaynor in 1937. In 1954, the film was done with Judy Garland and James Mason and AGAIN in 1976 with Barbra Streisand. What you probably don’t know is that Streisand’s first choice for the role was none other than Elvis Presley. 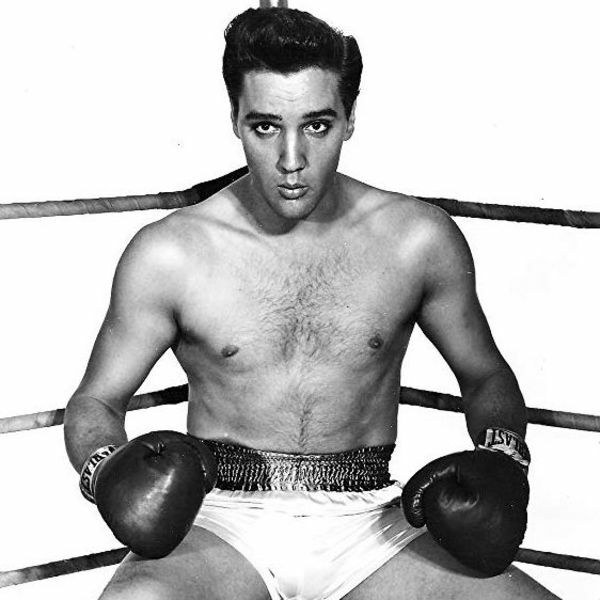 It was reported that Elvis was gung-ho about doing the film. During this time, his film career was heading downhill, and he hadn’t had a Top 10 single since Burning Love, three years earlier. Upon meeting Elvis, Streisand recalls that she began painting her nails out of nerves. Elvis then took the bottle of nail polish, got down on his knees, and began painting her nails for her. 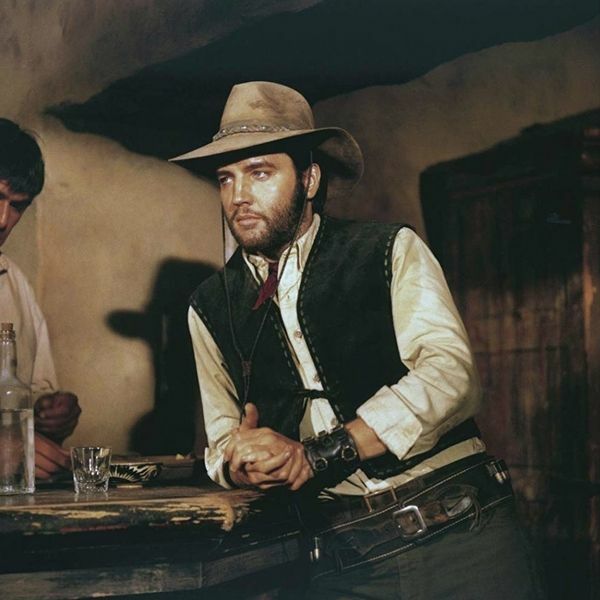 Some believe that Elvis didn’t do the film because the subject matter was too personal. Others thought that he didn’t want to play second to Streisand. Alas, we will never know the answer. Elvis was quite a successful star all around, but when bands like the Beatles, Queen, and the Rolling Stones took the stage, The King was on the brink of being knocked down from his pedestal. It’s said that, in 1968, Elvis took a walk down Los Angeles and found that no one recognized him. It was then that he knew he needed to stage a comeback. Before his comeback, he hadn’t been at the top in almost a decade, and he hadn’t been touring. However, when the soundtrack for his comeback album was released, he flew to the top of the music charts. Elvis was determined to show audiences that The King was there to stay. Elvis wanted to do his career HIS way, no matter the outcome. The song was written as a tribute to Elvis Presley, and the entire song was recorded in less than half an hour (even though John Deacon claims it took six hours). The song reached number two in the UK Singles Chart, and it became the first US number-one hit for them. 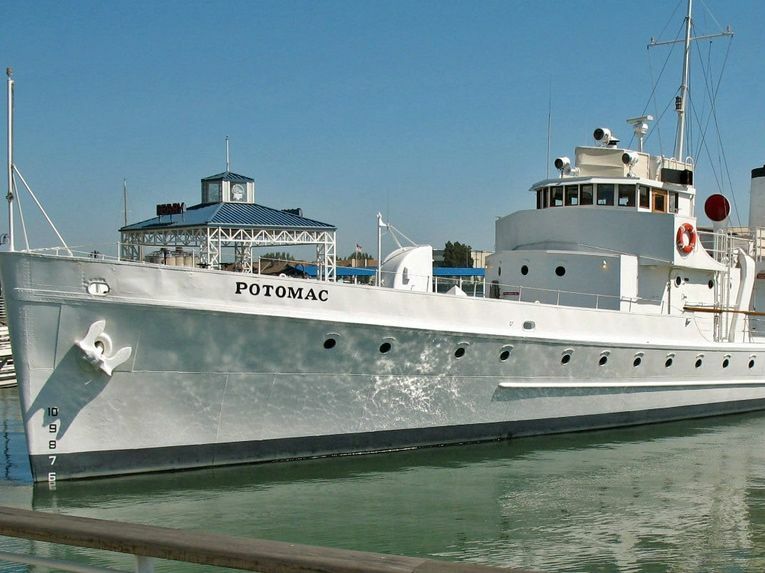 Back in 1964, Elvis paid $55,000 for the Potomac, which is the 165-foot yacht that was considered FDR’s “floating White House.” The Potomac was initially used as a U.S. Coast Guard cutter, and after FDR’s death, the ship was decommissioned and passed around between owners until it ended up in Elvis’s hands. After Elvis purchased it, he donated it to St. Jude’s Children’s Hospital, who sold the ship to raise money. Elvis was quite a charitable celebrity, and this was only one of the many philanthropic acts Elvis took part in throughout his career. 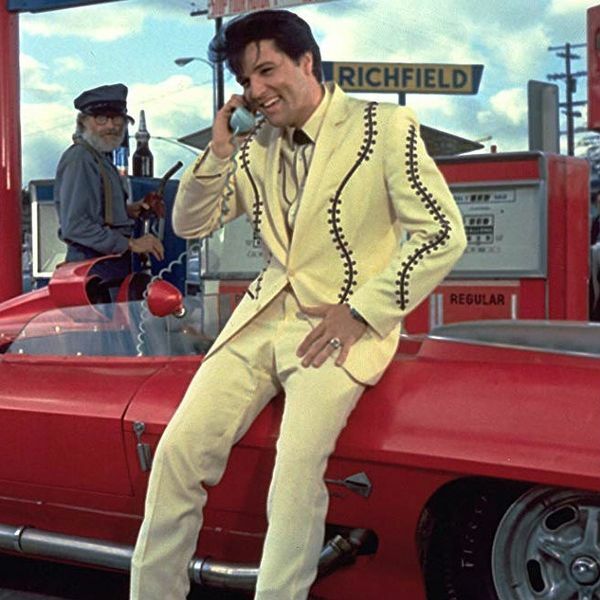 Elvis did many benefit concerts and would even give away his own cars and jewelry to friends and fans. 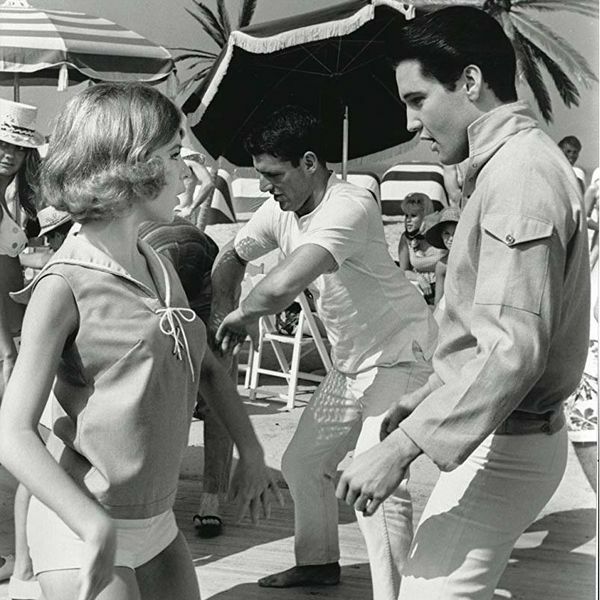 Rumors say that Elvis’s dance moves were overexaggerated due to his nerves. 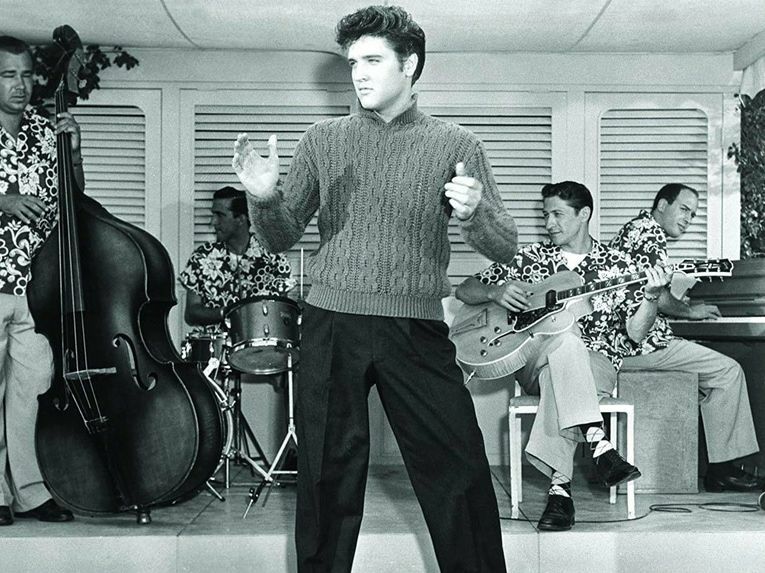 Elvis was so nervous during his first performances in the 1950s that his legs would often shake. After seeing the wild reaction the audience (especially the women) had to these weird moves, he decided to keep them and put them in future shows. Yes, we all know that Elvis had a deep love for peanut butter, banana, and bacon sandwiches, but he also had a stringent shopping list of items that he demanded to be on site at all times. The items on this shopping list, which apparently ran him $500 a week include, one case of Pepsi, one case of orange drink, six cans of biscuits, cans of sauerkraut, “wieners”, banana pudding (cooked fresh nightly), meatloaf, brownies, ice cream, shredded coconut, fudge cookies, and gum. 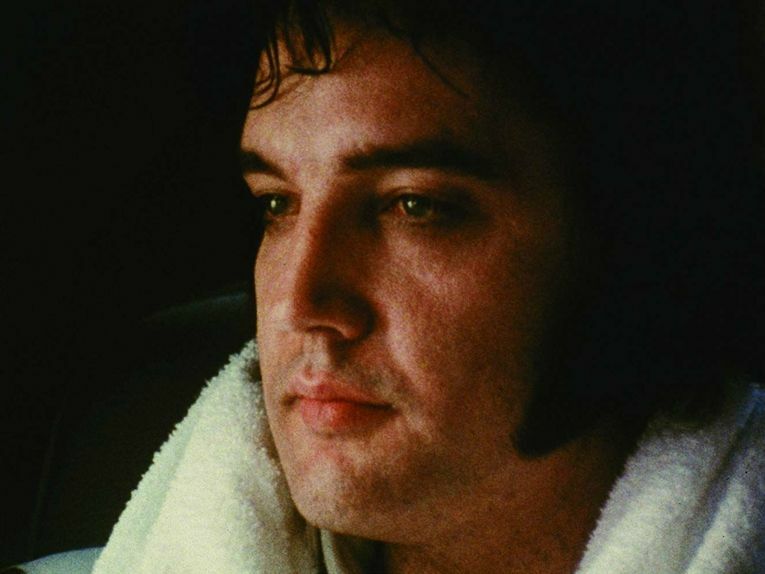 If there was anything specific that Elvis was craving, there was a buzzer connected to the kitchen that was placed under the dinner table for him to request items. Elvis had three different television sets in his downstairs media room, inspired by President Lyndon Johnson, who had three television sets to watch all three major news programs at once. Elvis spent a lot of his free time watching television unless his least favorite actor, Robert Goulet was on. Elvis hated Goulet so much that instead of using the knob on the television to turn it off, he would use his pistol. 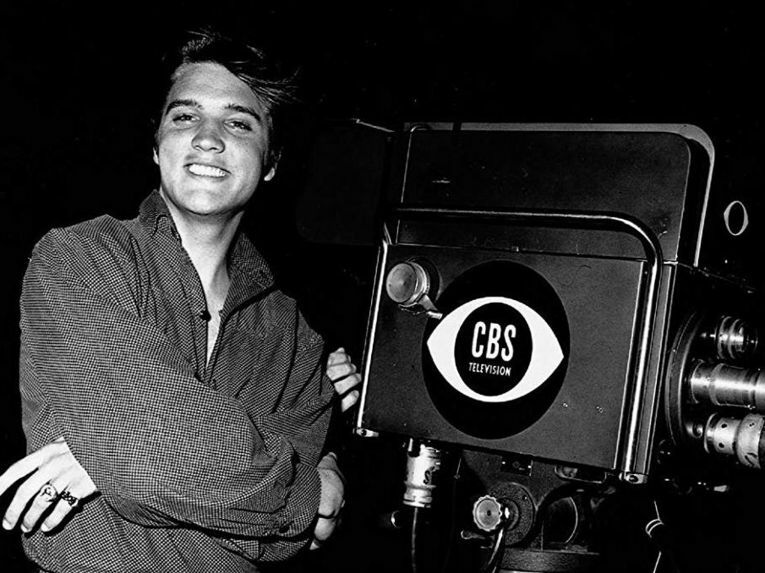 Elvis would actually shoot the television set to get the actor off the screen, and then replace it with a new one. Two days after his death on August 18th, Presley was buried next to his mother, Gladys, at Memphis’ Forest Hill Cemetery. After his remains were buried, there was an attempt to steal the 900-pound, steel-lined, copper-plated coffin with his body inside to hold his corpse for ransom. Three of the men who attempted to steal his body were arrested. Fearing that others would try to follow suit, Presley’s body, and Gladys’, were moved to Graceland. They currently lie in Graceland’s Meditation Garden; a secluded patch of plants and fountains that he had installed in 1964. It was one of Elvis’s favorite spots on the property.